Whenever you are about to download a program or a file from a third-party distributor, you have to be absolutely sure that there are no unnecessary applications bundled with the program you download. Otherwise, you will end up with Websearch.allsearches.info on your computer. 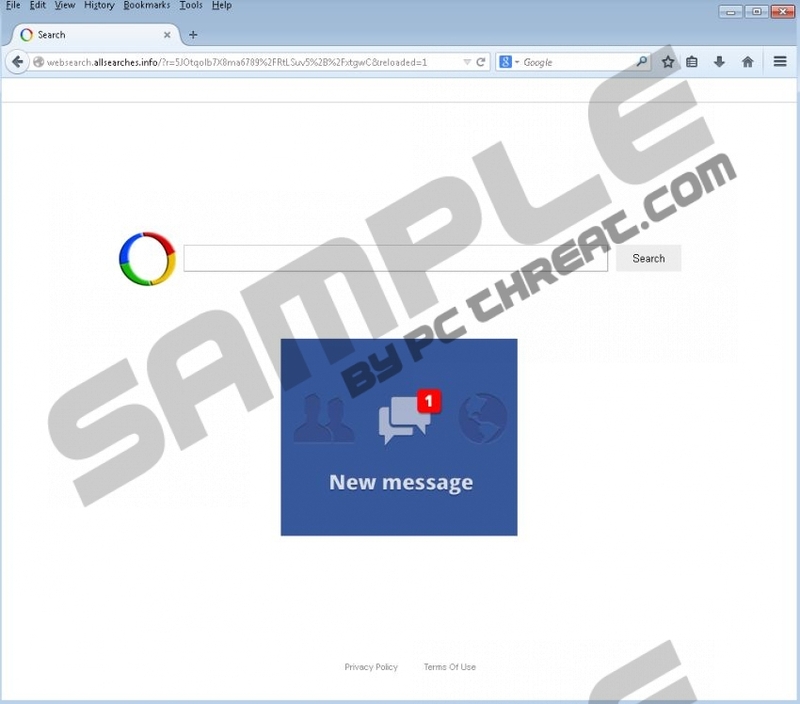 It is a browser hijacker that changes your browser settings without your permission. It is more annoying than dangerous, but it is important that you remove Websearch.allsearches.info from the system as soon as possible. Otherwise, you will most likely get exposed to potentially corrupted content via constant redirections. Websearch.allsearches.info is one of the many browser hijackers in the line. There have been Websearch.fixsearch.info, Websearch.eazytosearch.info, Websearch.exitingsearch.info and many other browser hijackers from the same group. All of them share one thing in common – they do not have a direct download link. According to our research, the only way for Websearch.allsearches.info to enter your computer is to arrive bundled with freeware. There is no one exact application that this hijacker comes with. Our research specialists suggest that Websearch.allsearches.info usually spreads through websites that promote fake Flash or Java updates. Thus, if you must update your media player or Flash player, be sure to download the update from the official website. However, if you continue downloading programs from file sharing and torrent websites, it is very likely that sooner or later you will get infected with Websearch.allsearches.info. This browser hijacker also installs an extension on your default browser (Mozilla Firefox, Google Chrome or Internet Explorer). This extension might be called SearchNewTab or MySearch. The peculiar thing about it is that the extension’s name can be randomized – SeeArch—NewTaab, SearCHNewwTab and so on. It clearly reminds us of the semi-random name adware family that has been rather prominent these days. It just shows that Websearch.allsearches.info is closely related to adware and other potential computer threats, so you should not tolerate it. What is more, even if you were to use Websearch.allsearches.info as a basic search engine, it would redirect all of your search queries to Google search engine. 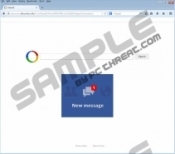 On top of that, this browser hijacker will most probably use a customized version of Google that will display a lot of commercial advertisements. It goes without saying that commercial ads are not reliable when they are distributed by a browser hijacker. If you want to avoid any serious computer security issues, you will remove Websearch.allsearches.info from your PC immediately. Please follow the instructions below to terminate unwanted applications and restore your browser settings. After manual removal, run a full system scan with SpyHunter free scanner. Do not hesitate to invest in a legitimate antispyware tool if need be. Select Add or remove programs and uninstall undesirable apps. Click Reset on a pop-up confirmation box. Quick & tested solution for Websearch.allsearches.info removal.